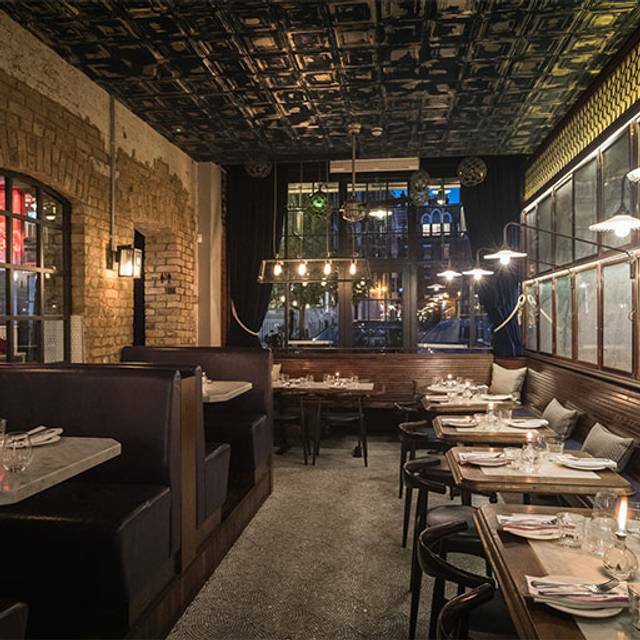 You must make bookings at least 5 minutes in advance of the time at Wright Brothers - Spitalfields. Street parking is very limited near Spitalfields Market on evenings and weekends. However there is a large car park at the back of the Truman Brewery, in Ely's Yard off Hanbury Street, about 2-3 minutes walk away. There are two large bike racks on Lamb Street. Spitalfields Market is located a short walk from Liverpool Street Station and Shoreditch High Street Overground. The number 67 bus serves Commercial St, or the ﻿8, 26, 35, 42, 47, 48, 78, 135, 149, 205, 242, 344 and 388 are approx 3 min away on Bishopsgate. 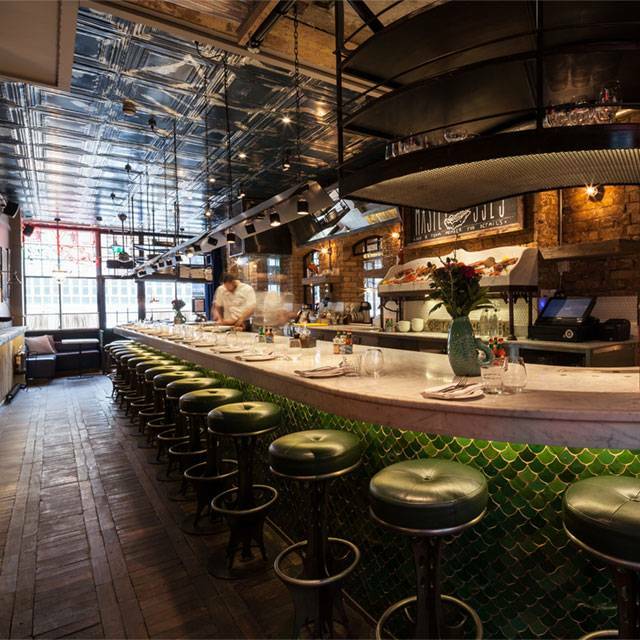 Right at the heart of the vibrant Old Spitalfields Market, Wright Brothers Spitalfields is smart in some ways, casual in others and lively always. 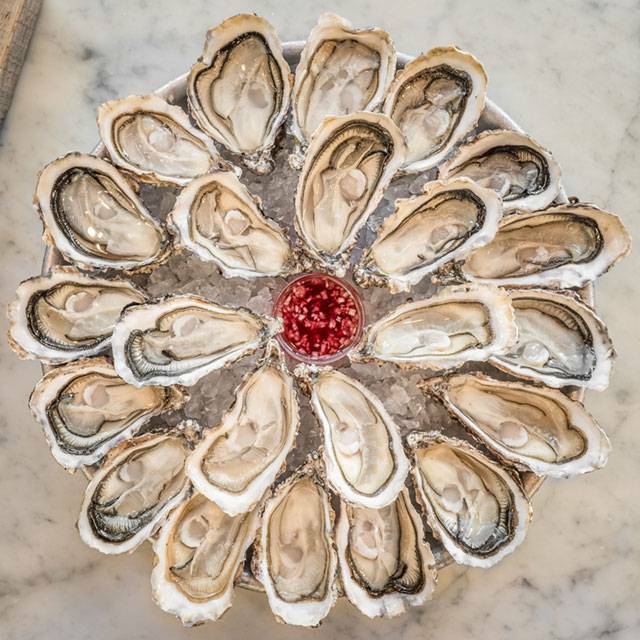 Characterised by the stunning marble oyster bar which invites counter-style dining while chefs shuck and prepare the freshest oysters in front of you. 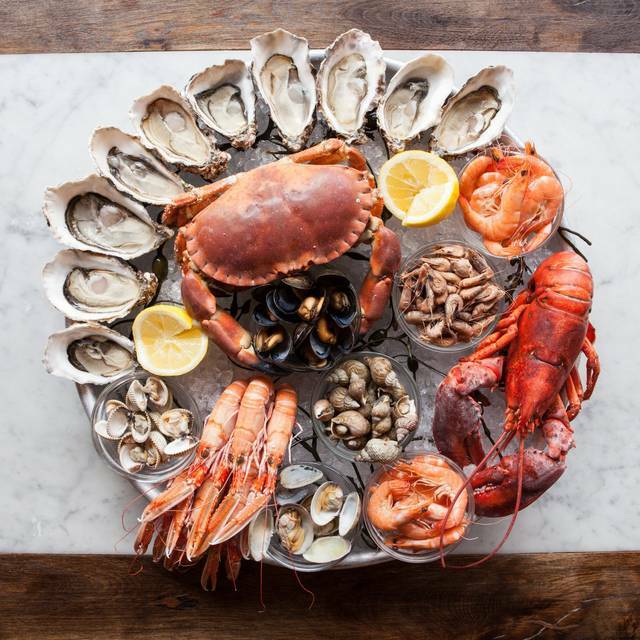 The seafood at Wright Brothers comes sourced via their own wholesale business in Billigsgate market. Feast on huge seafood platters, packed with fresh shellfish alongside a seasonal selection of delicious small plates and flavourful mains like the tempura fried soft shell crab with sriracha mayonnaise, winter slaw & fries. 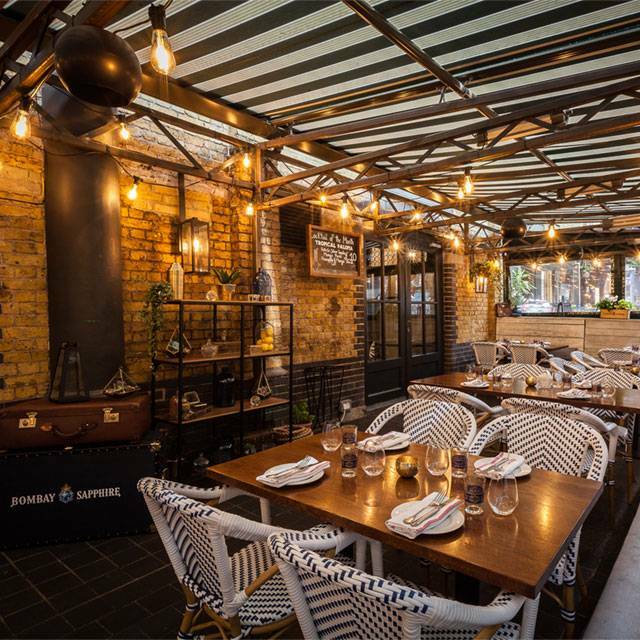 The bar serves a comprehensive range of seafood friendly wines and cocktails, which can also be enjoyed outside on the 'Market Terrace’— a heated terrace which allows for year-round alfresco dining. 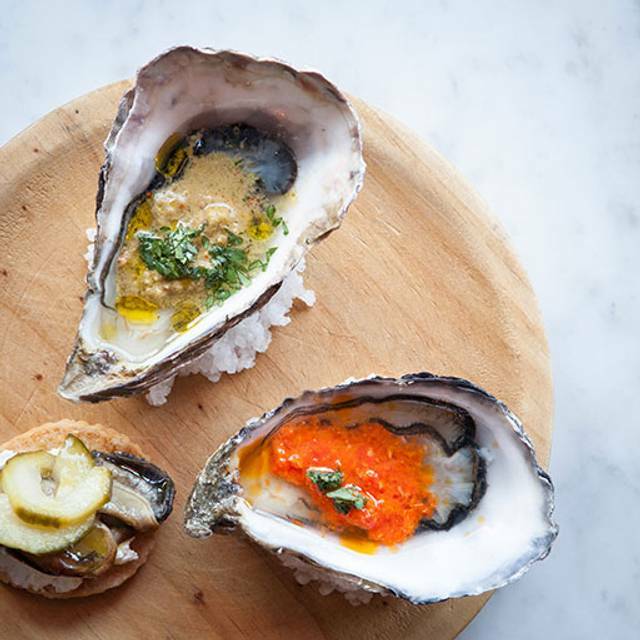 Oyster lovers should visit between 3-6pm daily to enjoy their 'Pound a Pop' offer: oysters for just £1 each. I have used this restaurant several times and it never disappoints. Excellent seafood, great service and a lovely atmosphere. All the food was delicious and the gentleman serving us was so delightful. Only con was the position size for the starters ‘4 anchovies’ and the food was a little delayed but overall lovely. Amazing!!! Can’t wait to go back!! The food was incredible and relatively reasonably priced, the staff were lovely and the overall dinning experience was outstanding. The second visit and be warned if you book on line you can’t ask for a specific table?! We wanted a booth so my lovely husband car hear the conversations but were placed on the octopus table which was of little use to those who can’t separate noise... food was great but one of the party had fish and chips; fish great but the chips were not home made and were bloody awful! Great meal but not value for money when the chips could have been oven chips...?! Food was delicious and staff were really friendly! The cocktails took a bit of time to come but they were worth the wait, I recommended to lots of friends and family and will definitely be back. Great place food was great and the staff were on point. It was a special occasion and they made it a lot better. Awful service and was also changed for a bottle of champagne I never had! Only when asked it was then removed of the bill!!!! Lovely food but awful service! Very nice food in a cool setting. It's not cheap but I wouldn't have expected it to be. Most of the service was very good as well. Delicious food. Great service. Absolutely lovely staff. As a big seafood/fish fan, I love the whole Wright Brothers concept and find they serve high quality produce. 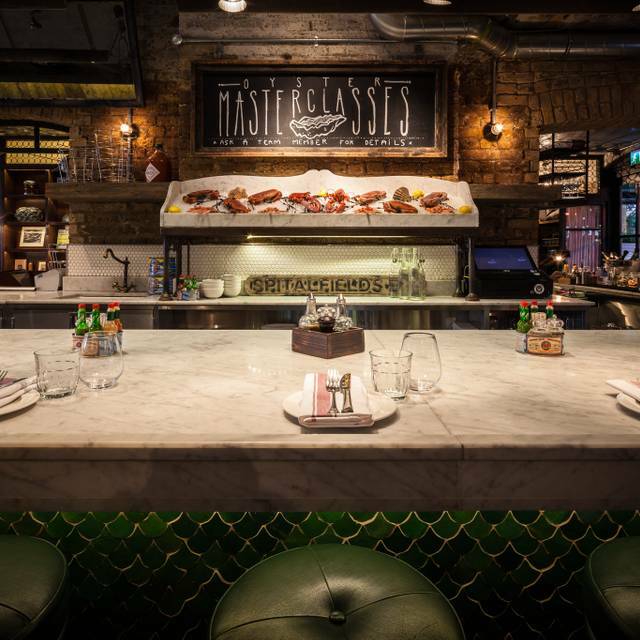 I find the Spitalfields restaurant to have the broadest menu - good range of seafood/oysters as well as more cooked fish. On this occasion, we had a large platter of fruits de mer, which consisted of oysters, prawns, mussels, dressed crab, cockles, clams and langoustines. The desert menu is limited however, but there is a decent short wine list. The restaurant has well spaced out tables, as well as good stools at the bar, and the service is great. Food, service and atmosphere were great, would definitely recommend! One of my favourite seafood destinations, great daily special menu, fresh crustacean, good wine selection, puddings and friendly staff. Lovely food with friendly, knowledgeable staff. Hi there, the food was nice and the service was ok. But there was a lot of clumsiness in the background at the bar which made it quite noisy. One of the staff had drop a glass and a piece of the shattered glass had flung across the room, hit me on the chest and fell on my lap. That was very dangerous as it couldve hit me in the eye, or worse, fell in my food and i couldve swallowed it. Food is nice but i dont think i will go back to that particular chain. Great service, lovely ambience and delicious food. Not the cheapest place in town but you get what you pay for. Always an amazing experience eating here. Amazing food, service, atmosphere and good value. 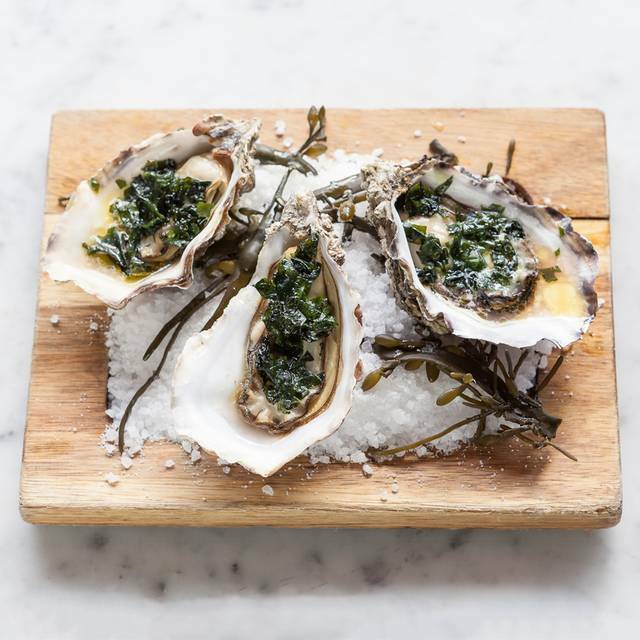 Great food with a spectacular daily happy hour oyster offer. Mains and specials are also on point! Loved the atmosphere in the venue, which was done out beautifully. Staff were all warm and friendly. Although all our food was lovely, I found the portions lacking in quantity and presentation. Two of us had the crab - which was just that - a crab on a plate. There was no accompaniment, no garnish. At £27.50 I would expect a bit of salad and/or brown bread. We ordered sides as we would have left really hungry. Found the menu, and wine, to be somewhat overpriced - I guess it’s the area, but I wouldn’t rush back. However, having said that, I still had a really nice evening! LizB, Thank you for taking the time to share your feedback. We look forward to seeing you again soon. Visited for a birthday which fell on a Sunday (not great) but would have been good to know that having booked for 8pm - last service was shortly after with a 9pm close to any further custom. We were one of several tables eating at that time but felt that they were keen to close before 10pm. That's what spoilt the ambience. Also I walk with crutches & had rung to check about step free access to toilets & was told it was all OK as I could use the ones in the market. When I asked at 9.30pm for directions found out these close at 9pm so had a difficult & uncomfortable trip to the basement! Would have been good to know that too! Otherwise food great & table service good. Hillibee, Firstly we would like to apologise for the lack of ambience during your most recent visit. It is never our intention to make you feel rushed and we are sorry that on this occassion you felt this way. Im also sorry the market bathrooms were not available during your reservation. On the other hand we would like to thank you for kind words regarding our food and service, it is very much appreciated. We look forward to seeing you again on your next visit. Really nice staff and great food, alcohol quite expensive though. We headed for and Valentine's Evening supper at the counter, and had a wonderful evening. Some of the best oysters I've had in a long time, and a couple of other bits from the starter menu to pick at were delightful (cuttlefish croquettes were winners, thumbs up for the fritto misto, and out in left field was the octopus which was a very pleasant surprise). Staff were absolutely delightful and I'll certainly be back! ANP40Times, We are delighted we could make your valentines date one to remember! Thank you so much for the kind review and ill your feedback will be passed onto staff. We can't wait to see you again on your next visit. We went on a Sunday evening so expected it to be quiet. The food was good and the serving staff friendly and knowledgeable about the menu. PeteM, Thank you for taking the time provide your positive feedback. We look forward to seeing you again on your next visit. Again another lovely meal at Wright Brothers. Food amazing (maybe a little expensive) service always good, always try to please and will change things on menu when they can. Defo everyone should try, we prefer to be at the counter with the hustle and bustle. The food was great as expected with Wright Brothers. The service was excellent and the staff were very accommodating and let us sit down 15 mins prior to opening to escape the cold outside. This was an early birthday treat for a girl I had been courting for months (I was on holiday for her actual birthday). The staff were very friendly and even organised a birthday cake. When we got there she told me she wasn't interested in me, and brought her friend along to make it less awkward. Great oysters though. Tuna tartare was a little salty, but that might have been my tears. Thank you for taking the time to share with us your feedback. It seems that despite the unfortunate luck with your lady friend, you managed to somehow look on the brighter side and still enjoy the great service and food we offer. We look forward to seeing you again soon, with hopefully a new potential love interest. ColinA, Thank you very much for your kind words. The counter bar provides a great opportunity to observe our talented chefs at work and they are always happy to share their knowledge and skills. We look forward to seeing you again! My favourite restaurant, I love sitting at the bar and watching the staff prep the seafood platters. The food has never disappointed. SarahK, We are so happy to hear that we are your favourite restaurant! Thank you! Our seafood selection is always the freshest available and we pride ourselves on providing you an amazing ever-changing menu. We hope to continue impressing you for many visits to come. Always lovely service delicious oysters and amazing Bloody Mary! One of my favorite places! 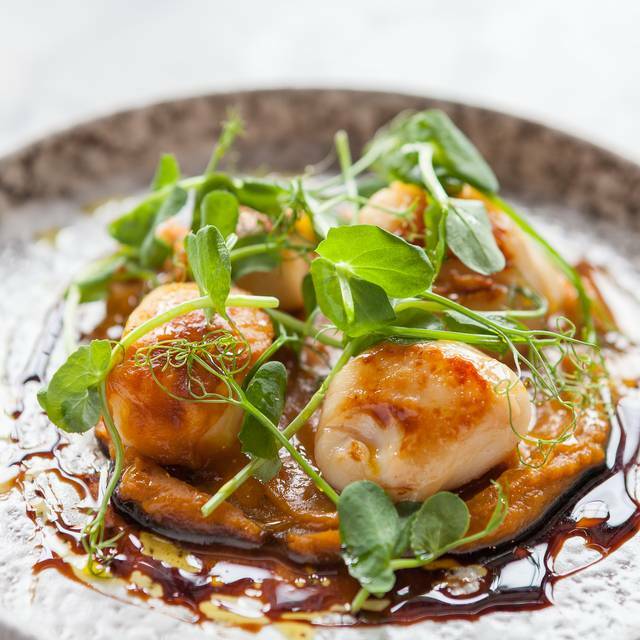 Dinner at Spitalfield : Fantastic food, fresh ingredients, inventive cuisine and skilfully cooking. Add a faultless service. Overall, an absolute treat ! We had a lovely evening with a good selection of seafood and great cocktails. Personal highlights were the smoked oysters and the Galician double sucker octopus with ajo blanco and jalapeño oil. However, the small plates were overpriced considering the portion sizes. A really enjoyable meal with great fish and wine.